WSS 800 is a wireless surveillance system which can be used to monitor an area. 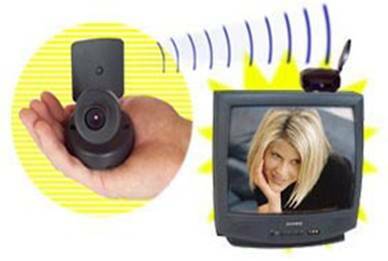 The system comprises of a video camera whose signal would be transmitted wirelessly, received, and displayed on a monitor. The signal comprises of video and audio signals, at the carrier frequencies 61.25 and 65.75 MHz respectively. These signals will be up converted to 2.4 GHz band and transmitted wirelessly using a patch antenna. The signal will be received, down converted back to its original frequencies, and displayed on a monitor. The constructed components are: patch antennas, low noise and power amplifier, up and down converter, and band pass filters. The design, simulation, and experimental results shall be presented.